Plan a blissful getaway this Eid to the award-winning Millennium Resort Musannah, one of Oman’s leading destination for relaxation and recreation. 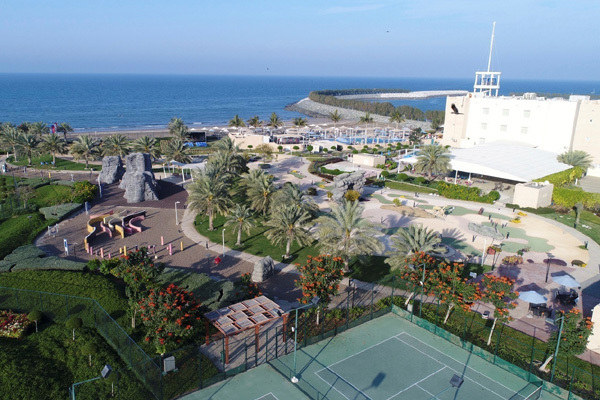 Millennium Resort Mussanah is less than four hours driving time from Dubai or Abu Dhabi, and only 45 minutes from Muscat International Airport. Millennium Resort Mussanah is offering guests the opportunity to celebrate Eid al-Fitr with special room rates and relaxing leisure activities for the whole family. Book a room during the Eid Al Fitr weekend and save up to 30 per cent off on room bookings for a minimum stay of two nights. The offer is valid throughout the summer across Millennium & Resort’s 35 hotels in the Middle East. The promotion includes complimentary high speed wi-fi connection, in addition to double Reward points for My Millennium members. The 'Summer at Millennium' offer is bookable until September 15 with stay dates validity of May 1 to September 30. A destination for tourism and hospitality, Millennium Resort Mussanah boasts 308 keys of spacious, well-appointed rooms and lavishly decorated serviced apartments, complemented by an array of world-class leisure and lifestyle facilities that meet the needs of even the most discerning guest.